Known as the `City of Museums,` as there are more of them per square foot than any other city in the world. 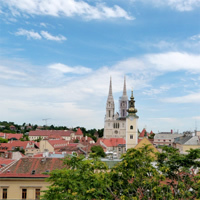 Zagreb is the cultural, scientific, economic, political and administrative center of Croatia. Zagreb is a vibrant, modern destination with a variety of shops, quality restaurants and sports and recreation facilities. The historical part of the city to the north is comprised of the Upper Town and Kaptol, a medieval urban complex of churches, palaces, museums, galleries and government buildings. Known as the city of museums as there are more of them per square foot than any other city in the world, Zagreb is also a vibrant destination with a variety of modern shops, quality restaurants and sports/recreational facilities. Experience two aspects of Croatia. 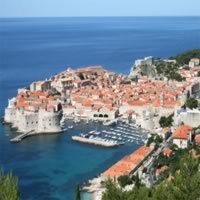 Visit Dubrovnik (nicknamed `Pearl of the Adriatic,` one of the most beautiful cities on the Croatian coast.) 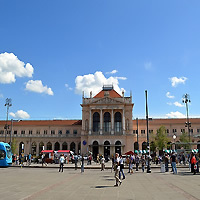 and Zagreb (Surnamed the `city of museums` with more of them per square foot than any other city in the world, also the cultural, scientific, economic, political and administrative center of Croatia.) Travel between them by flight. This is a flexible package. Select your number of nights in each city, desired hotel and activities. This customizable packages lets you witness Europe like never before. 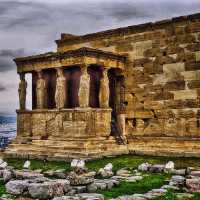 Start in Athens (the cradle of civilization and home of democracy) then catch a flight to Dubrovnik (the pearl of the Adriatic; with sun-drenched beaches on one side and imposing mountains on the other) and then fly to Zagreb (a vibrant destination with modern shops and fascinating museums.). This is a flexible package. Select your number of nights in each city, desired hotel and activities. Journey through Europe with this customizable package and make unforgettable moments. Start in Paris (The City of Lights with impressive monuments, museums, culture and gastronomy) and then hop a flight to Zagreb (a vibrant destination with modern shops and fascinating museums). This is a flexible vacation package. Select your number of nights in each city, desired hotels and activities. I had a tour cancellation and the local tour company was not pleasant to deal with, tripmasters handled the case very well. Everything went awesome, we had a great time, enjoyed all the hotels we stayed at, lots of flying though but we highly recommend your website.